Full service company offering Los Angeles residential property management services. 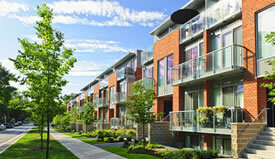 Specializing in condominium, town home and single family homeowners associations. Find the best and conveniently located apartment rentals in Los Angeles, CA. Ontrack has become the premier property management company in the area, as homeowner I feel they are very professional and courteous. The 24/7 services they provide are top notch and reliable. One call does it all, whether it's an emergency or not. Iraj is one of the most trustworthy people I have ever met. He has a tremendous amount of knowledge of all aspects of Building Management. I have hired Iraj personally, and I have recommended him to many who have also hired him. Iraj and his team are true professionals. 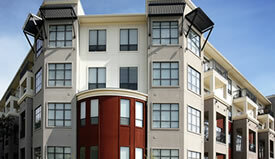 Ontrack's expertise in property management is unmatched. I trust their services and will recommend them to anyone who is interested on hiring his company on as their property manager. As a property owner in Canyon Country Racquet Club I have seen Ontrack moving forward in an energetic and positive manner toward improving our HOA. Ontrack is bringing late HOA dues current, also moving forward on installing security equipments. These items will help maintain property values in these difficult times.